Description: A commercial building designed by architect T. Hunter Henderson in 1929. Key Art Deco features are the raised parapet and decorative carvings. History: This building was originally a Chrysler showroom. 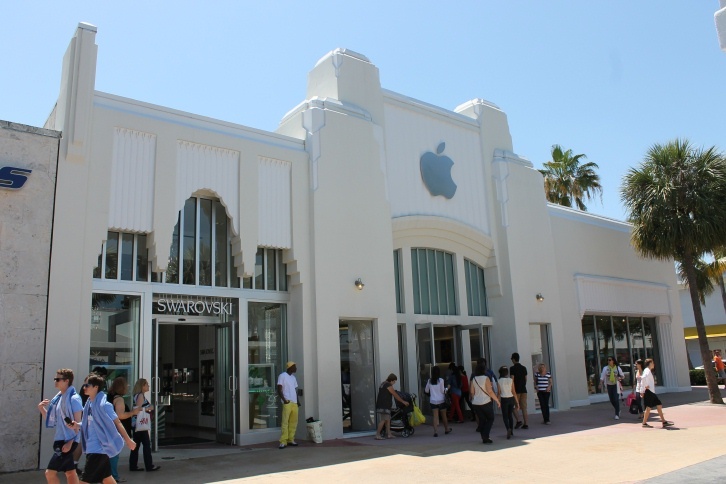 It is now primarily an Apple store, with a Swarovski cystal store also.